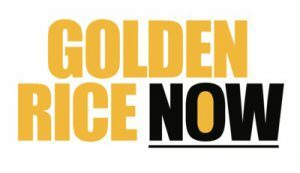 Press Release Bangledesh – Allow Golden Rice Now! Dr. Patrick Moore, co-founder of Greenpeace, now leader of the Allow Golden Rice Campaign, is bringing the Golden Rice Asian Tour to the Bangladesh, where vitamin A deficiency is a major cause of child mortality. Vitamin A deficiency in Bangladesh effects 21.7% of pre-school children. Worldwide, about 2 million children die every year from diseases related to vitamin A deficiency, and between 250,000 and 500,000 go blind. Vitamin A deficiency is the biggest killer of children in the world today. Golden Rice is the obvious cure, but because it was created with genetic science, Greenpeace and the anti-GMO movement fervently oppose it. No country has approved it for cultivation. The Golden Rice Tour began with a field trip to the International Rice Research Institute near Manila, the lead agency internationally for the development of Golden Rice. This will be followed by a Media Conference at the Press Club of Dhhaka March 11 at 11.00am. “It is a testament to the uncaring attitude of Greenpeace that they will not drop their opposition to Golden Rice,” stated Dr. Moore. “Golden Rice has been proven to deliver vitamin A to both adults and children so there is certainty that it could save millions of lives. Can you imagine the grief of millions of poor parents who watch helplessly while their young children perish before their eyes”? Dr. Moore and the other members of the tour will deliver a 35 minute presentation followed by questions from the media.